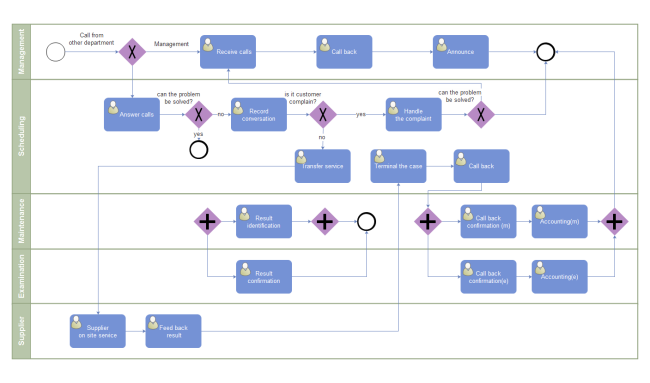 Description: This call complaint BPMN diagram template clearly presents customer call complaint process in a company. You can download this template for free and use it to have a quick start. If you open it with editable format, you will see plenty of quality symbols on the left of the canvas available for documenting BPMN diagrams.